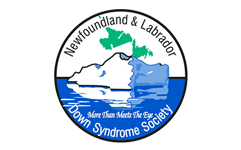 NLDSS – The Newfoundland & Labrador Down Syndrome Society » Blog Archive » Spirit of NL Partners with NLDSS for Mother’s Day Event Fundraiser! « A Big Thank You to Everyone that Participated in WDSD! 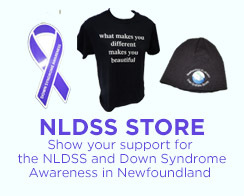 Spirit of NL Partners with NLDSS for Mother’s Day Event Fundraiser! 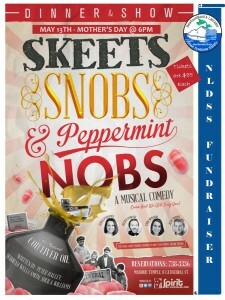 The NLDSS is excited to partner with Spirit of Newfoundland to bring you Skeets, Snobs and Peppermint Knobs! 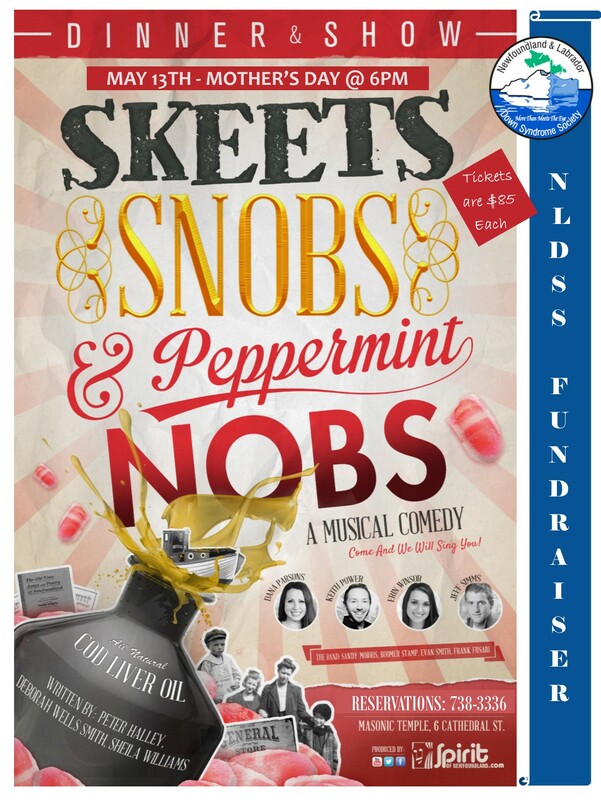 This event will be a lot of fun and a great way for the Society to bring in necessary funds to help all persons with Down syndrome with Speech, Music and Occupational Therapy. Please feel free to e-mail the attached poster to all your friends in your contact list and it would be great if you could print it off and post in your office. Tickets are $85 each (tax included) and we are offering a $35 tax receipt to all those who purchase. Tickets can only be purchased by calling 738-3336 or visiting our office at 21 Pippy Place, Suite 106. We take M/C, VISA or EMT. If you have any questions, or to reserve your seats, e-mail Tonya at officenldss@gmail.com. Spirit of Newfoundland takes us back to a time when the Ryan’s and Pittman’s ranted and roared and Dr. Chase and cod liver oil got us through the hard, hard times. Elsewhere in the world, the twenties were roaring and the thirties were dirty. Here at home Gerald S. Doyle was creating the beloved Newfoundland song books. Now, decades later, fans around the world are clapping their hands and stomping their feet to the music of Newfoundland. Starring: Dana Parsons, Keith Power, Jeff Simms, Kara Noftle and the Spirit of Newfoundland band. Spirit of Newfoundland’s famous sourdough bread. Served with a variety of flavoured whipped butters. Cream of tomato & roasted red pepper topped with crumbled saltine cracker and roasted garlic oil. Chicken Marsala ~ a bone-in chicken breast with a traditional Italian sauce of mushrooms, bacon, cream and Marsala wine. Poached Atlantic cod in a citrus nage ~ a light sauce of lemon, basil, spinach and cream. Main courses served with fluffy mashed potatoes, and our chef’s selection of seasonal vegetables. The official Newfoundland Screech Rum Cake served with NL berry compote and Chantilly cream. Notes: We are offering a $35 tax receipt for anyone who purchases a ticket. This entry was posted on Monday, March 26th, 2018 at 4:51 pm	and is filed under Uncategorized. You can follow any responses to this entry through the RSS 2.0 feed.